It’s been an exciting and busy year with lots of exciting opportunities for our young people and leaders across the region and here Diane Marshall, Deputy Regional Commissioner gives an update on some of the International Scouting that has been going on over the past year. 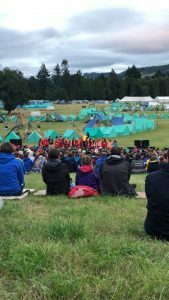 South East Region secured 11 patrols for Blair Atholl 2018 which was a fantastic achievement. Training camps were undertaken at Bonaly, The Craig’s and Philipshaugh bringing the districts together in preparation for their adventure on “the Field of Dreams”. 63 Explorers left Edinburgh on the 16th July for what was to be the start of a journey in their personal development, our patrols were allocated into 6 sub camps meeting Explorer Scouts from Australia, Austria, Barbados, Canada, Denmark, Ecuador, England, France, Germany, Gibraltar, Hong Kong, Iceland, Ireland, Japan, Northern Ireland, Scotland, Singapore, Spain, Sweden, The Netherlands and United States of America. Sunday Scouts Own the theme was “Dreams” concluding with a choir made up of each sub camp singing A Million dreams from The Greatest Showman. As always the final evening reception prior to everyone heading either home or onto home hospitality. Home Hospitality was well received with SE Region patrols bringing 53 young people back to enjoy 3 – 4 days enjoying the many attractions and lovely countryside the SE Region covers. I would like to record my thanks to the District Coordinators and members of the Bonaly Active Support Unit for their tireless work behind the scenes in pre and post camp preparation and throughout the training camps. The weekend of 11th / 12th November 2017 saw over 80 young people at Bonaly looking for a place in Unit 91 which will represent SE region and Scottish Scouting at next year’s World scout Jamboree in West Virginia USA. The standard of all applicants was high and after a lot of deliberation on both days the contingent was confirmed and 36 young people were notified of their success. 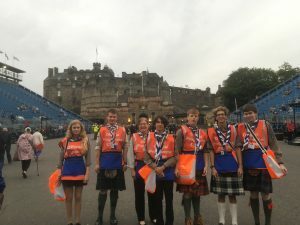 Unit 91 will be lead by Alan Gibson, a leader in the SMESU Explorer Unit, assisted by Mark Petrie from Craigalmond District and Rhona Robb and Gillian Swarbrigg who hold Scouting appointments in other regions. To date the unit have had 2 weekend training camps held at Bonaly. The second camp saw the unit make their way from Bonaly to Foxlake Adventures in Dunbar for a fantastic day teambuilding. Future training camps will bring all the Scottish units together as they all prepare for July 2019. Look out for the official “Oor Wullie “ merchandise that is available a well as all the individual fundraising that is going on across the districts of those participating. SE Region are delighted to have 6 leaders who have been selected to be part of the International Service Team, we wish them all well in their preparation and for the many hours of hard work that they will be putting in on a daily basis to ensure that the Jamboree runs smoothly. Watch this space next year for a report on their WSJ experience! Madagascar 2019 will see Explorer Scouts challenged to explore the world, build International friendships and contribute to International development. 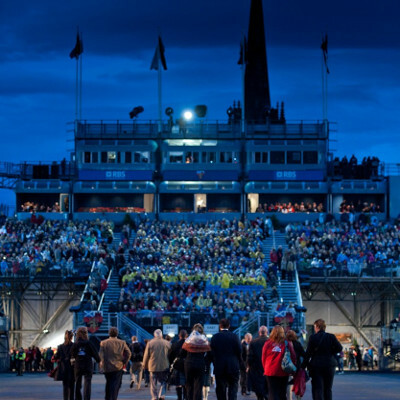 The adventure will take place over 3 weeks during the summer of 2019 and will be led by Martin Gray from Craigalmond District assisted by a team of experienced leaders. We look forward to hearing and seeing how the project goes and wish all of our successful participants a trip that will give them a unique opportunity to make new friends and learn about a new culture. Throughout the summer a number of troops, units and groups have enjoyed scouting abroad visiting countries such as Ireland, Iceland, Czech Republic, Austria, Switzerland, Holland, Italy and France. International visits abroad are a special aspect of what Scouting offers young people and adults and it has been great to hear and see while following Facebook and Twitter posts what our young people are experiencing and learning in their personal journeys in order to progress and give them skills for life.